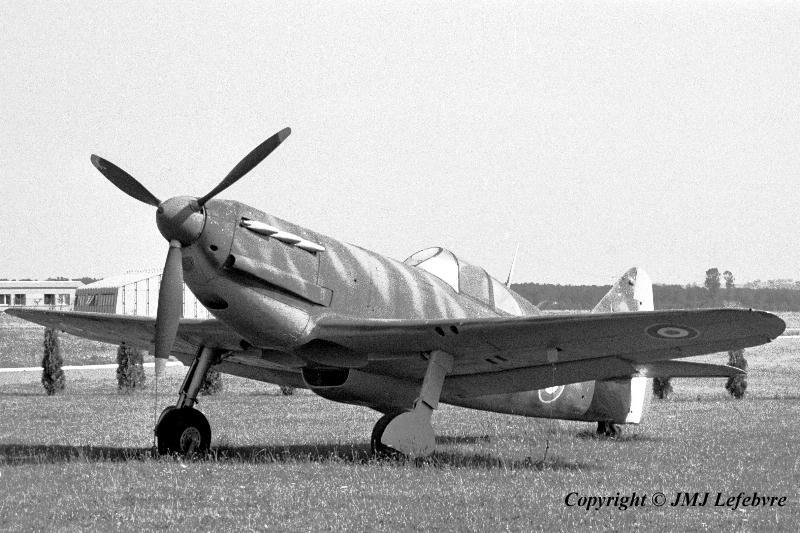 As a Guard of BA 116 Commanding Post, this Dewoitine D.520 fighter went to Luxeuil in particular circumstances. When created in 1952, the BA 116 was named 'Colonel Papin' in memory of this valourous pilot who died, after WWII, during French operations in Indochina at the controls of a Spitfire. This Luxeuil guard, Dewoitine C/n 862, located at Amiens where it was used to give some basic pre-instruction to young people having intention to join French AdlA as active specialists or just for their legal military obligations. As the C/n 862 seemed to have been painted with fantasy on fin and that was discovered a C/n 664 engraved on an identification plate located in the undercarriage housing, the plane received a new C/n 664 painted on fin, this until it was discovered, when aircraft surface was cleared to receive a new overall paint, that its fuselage plates with mention of C/n 862 had been heavily covered by several coats of paint. In fact, records showed that '862' having been accidented, it received as replacement a spare wing which was coming probably from dismantled C/n 664 being written off from inventories. Though permanently outdoor since installed here on Luxeuil Air Base, the visible part of the aircraft seemed, early August 1972, to be in a fairly good condition and, concerning engine, it was lucky that during years already spent here by D.520, a mechanic went before service in his air base maintenance works to turn the propeller, so offering with his hands a daily one stroke if not a whole revolution to the twelve cylinders Hispano Suiza V-engine.